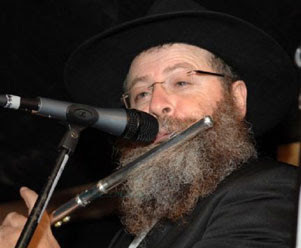 Lubavitch flutist Avi Piamenta has introduced a new song he calls “A New Song for Hakhel Year.” He composes a song every Simchas Bais Hashoeiva in Crown Heights (which, incidentally, didn’t cover its costs yet). This new tune was recorded in a studio with a group of 770 bochurim singing, accompanied by Piamenta. The lyrics are based on the verses about Hakhel in Chumash Devorim.